Lisa Levart is an award-winning photographer, best known for creating alternative photographic portraits of women who embody poetic myths. 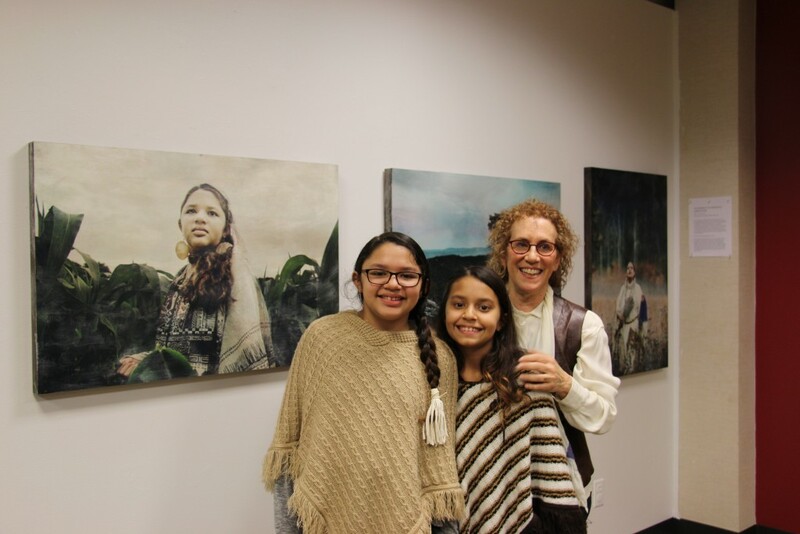 A collection of her portraits titled, “The Women of the Ramapough Lenape Nation” is on display in the Potter Library Gallery as part of Women’s Herstory Month. After photographing indigenous women around the world for nearly 15 years, Levart decided to extend her project to the Hudson Valley. Collaborating with local Ramapough Lenape women, Lavert created a collection of photographs that revisit their forgotten myths and stories. Her work purposely brings awareness and visibility to these indigenous women. At the exhibit’s opening reception, Levart explained, “The process starts from the women. 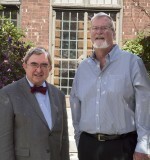 They do research on finding a Lenape myth that resonates with them in some way." Some of the myths the women chose to portray include Thunder Beings, Grandmother South, Cyclone Woman and Corn Woman. Corn Woman is a myth about a group of young men who stopped honoring her good harvest, and as a result Corn Woman’s bountiful fields of corn dried up. “To see them up there, it’s an honor. It’s a privilege to see, because there’s so much power in the portrait and what they’re portraying in the portrait,” said Jackie Kumar, a resident of Split Rock Sweetwater Prayer Camp. The layers of each photograph are digitally manipulated and collaged in Photoshop, and then hand painted with an encaustic medium of Beeswax and Damar Resin. The glossy brush strokes of the encaustic medium give her photographs a painting-like quality. During her worldly travels, Levart was capturing photographs for a project titled, “Goddess on Earth.” She has an official website and a critically acclaimed book by the same title, both which actively explore the energy between humans and nature, and divine femininity. “It’s a very innovative approach because she really uses the mythology and engages the women of the community. She doesn’t just go out and take things as they are, she really creates these narratives,” said Professor Yolanda Del Amo, an associate professor of art and photo digital media. “Women of the Ramapough Lenape Nation” will be on display in the Potter Library Gallery until April 30.